A new study looks at the greenhouse gas benefits of corn ethanol. Images courtesy of USDA. A study we just published in the journal Biofuels found that the greenhouse gas (GHG) emissions from corn ethanol are about 39 percent lower than gasoline on energy equivalent basis. The study, titled “The greenhouse gas benefits of corn ethanol—assessing recent evidence,” also found that when ethanol is produced at natural gas-powered refineries, the GHG emissions are even lower—around 43 percent below gasoline. This study confirms work that we released in 2018 (PDF, 3.2 MB) and adds to the mounting evidence of ethanol’s GHG benefits, which have been often overlooked. Unlike estimates of ethanol’s GHG profile from the early 2000’s, which relied on projections of how growing corn for fuel would impact emissions, we now have the benefit of looking back in time to see how the industry responded to the requirements of the Renewable Fuels Standard (RFS). As it turns out, the data show that the last decade was a time of great innovation and productivity improvement in both corn production and ethanol refinery technologies. The story of how farmers and ethanol producers responded to the requirements of the RFS is one worth understanding—and this story is now being told in the peer-reviewed literature. Earlier estimates of ethanol’s GHG emissions assumed the increased price of corn (caused by increased demand for corn ethanol) would result in farmers bringing new land into production (otherwise known as land-use change). Projections warned of an increase in GHG emissions from tilling native grassland, and converting wetlands and forests for corn production. More recent research shows that, while there has been some conversion and reallocation of land, things did not end up playing out the way these earlier projections anticipated. A 2015 study published in the Annual Review of Resource Economics showed that although higher corn prices gave an incentive to farmers to grow more corn, farmers responded with increases in double-cropping and planting in fields that were fallow, and reducing temporary pasture to increase corn production—and far less land use change than originally predicted. In other words, although farmers produced more corn, they relied on improved technology and intensive cropping on existing fields rather than converting new lands into production. All this research aside, there are certainly environmental tradeoffs involved in ethanol production. Any form of energy production has social and environmental costs. However, when it comes to GHGs, the evidence demonstrates that corn ethanol is a net positive compared with gasoline—and there is room for continued improvement. There’s one more point worth mentioning here: incentivizing ethanol through the Renewable Fuels Standard has offset 10 percent of our reliance on fossil fuels in the transportation sector. No matter how you look at it, that’s progress towards a cleaner energy future. This is a very welcome authoritative study that 'once again' states that the production and use of corn ethanol is a cleaner, safer, and economically viable alternative to the poison fuels that come from petroleum oil. I say 'once again,' because this isn't the first study to reach this conclusion - there have been a few others over the years (listed below). Unfortunately, in their never ending greedy mission to force more of their poison down our throats, the oil industry keeps trying new ways to present their same old lies against ethanol and therefore keeps having their shills pretend like they've found new evidence against ethanol. It would be great if the oil industry stopped the nonsense on their own, but they probably won't so we should expect more deaths, illnesses, and wars caused by their actions. On the bright side, America's farming and ethanol communities have heroically risen to a great challenge and defeated all the naysayers. 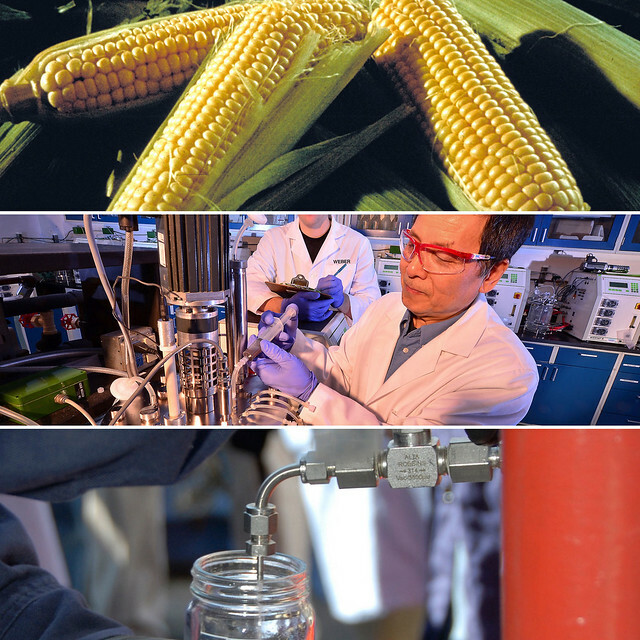 They will continue to innovate, increase crop yields and ethanol output, and add in other crops and materials to further expand ethanol output as consumer demand increases (and as higher ethanol-gasoline blends are made available at the pump).